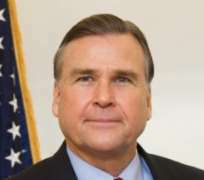 The United States has warned of an increased threat by Book Haram to carry out terrorist attacks in Nigeria especially in the run-up to 2019 general elections. The deadly group plan to attack public places such as markets, hotels and malls, which are areas of potential huge casualties. It did not however give any specific threat information. The warning issued at the US Embassy, Nigeria cautioned American citizens in the country to be security conscious giving out contact numbers for the citizens who might need assistance. Event: There is an increase in ISIS propaganda videos specifically directed to Nigeria and the ongoing civil unrest in Borno state and the Northeast. ISIS West Africa (ISWA) and Boko Haram have both stated they plan to disrupt the upcoming 2019 presidential elections by conducting attacks on Nigerian Security and infrastructure, as well as places of gathering such as markets, hotels, and malls. While we have no specific threat information to the U.S. Embassy or within Nigeria during the election season, U.S. citizens in Nigeria should remember to follow personal security precautions on a regular basis. · Avoid crowds and demonstrations. · Review the Travel Advisory for Nigeria.